SKYNET ROBOTICS: Watch our Robot Compete! 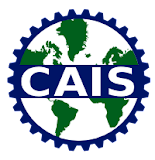 Although our robotics team has yet to invent a way to reverse time, you can still watch our matches from our CAIS competition. Click here to access a playlist of the CAIS competition.